The window of opportunity for safeguarding global growth is “narrowing” as trade disputes deepen and emerging markets face fiscal crisis, the IMF said Saturday, warning countries against worsening things by weaponizing currency and interest-rate policies. 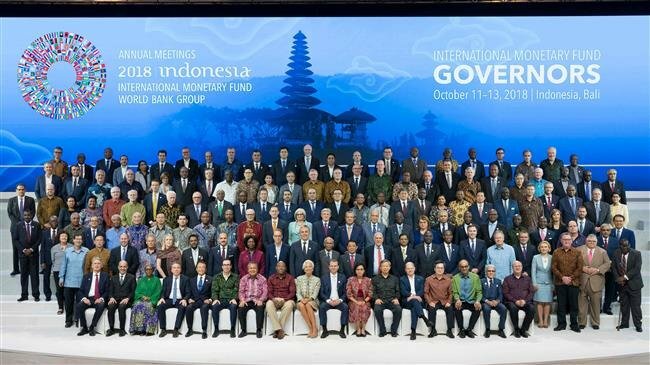 The Fund kicked off its annual meeting with the World Bank on the Indonesian resort island earlier in the week in a gloomy mood, preoccupied by the trade tussle between the world’s two biggest economies, and tightening financial conditions faced by emerging markets. “The window of opportunity (is) narrowing,” the 189-country organization said, adding that members would “refrain from competitive (currency) devaluations and will not target our exchange rates for competitive purposes” — a line apparently aimed at the US and China. Mnuchin this week said he had told the head of China’s central bank about his concerns over the weakness of its currency.